SERPs can vary dramatically based on the language configured within a given Google account. This is particularly relevant in regions where multiple languages are commonly spoken, such as English/Spanish in the Southwestern United States, or English/Arabic in Dubai. 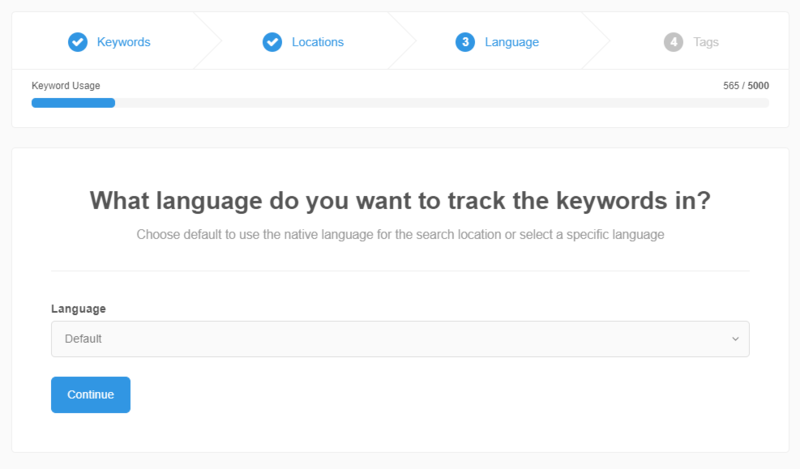 You can optionally choose a language to use for fetching SERPs when adding keywords. This setting forces a fetch of the rankings as they would appear to a searcher with the given language configured in their Google account. The "Default" option refers to the default language for the given Google TLD. For example, the default language for Google.com is English, and the default language for Google.jp is Japanese. 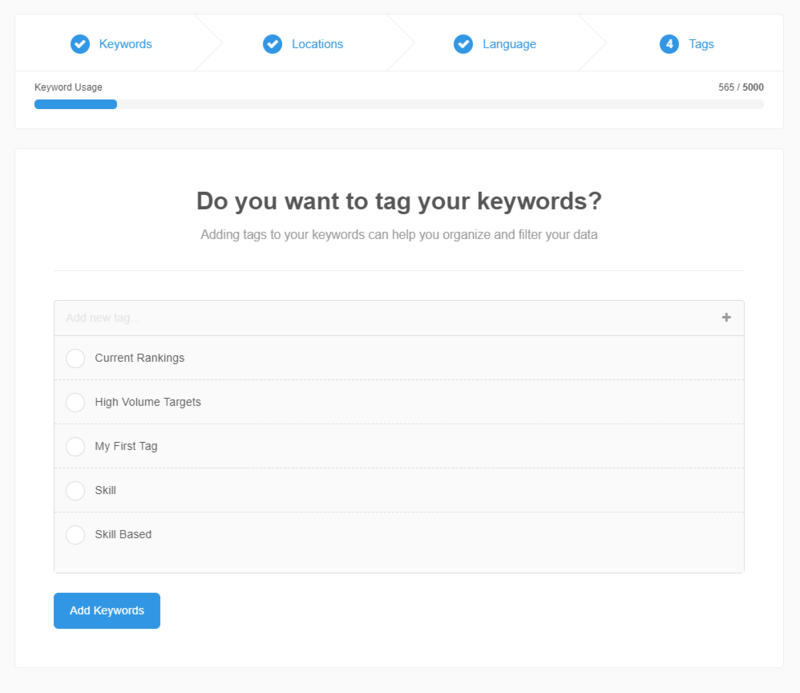 To configure a specific keyword language, open the "add keywords" wizard, add your list of keywords, and configure your location. Then, in step 3 of the wizard, select the language to track from the drop down. As always, when finished with the wizard, click "Add Keywords" to finalize the add keywords process and fetch your rankings.